Here's the perfect thing to soundtrack the waning days of July: it's the new EP from Ottawa's Skytone. 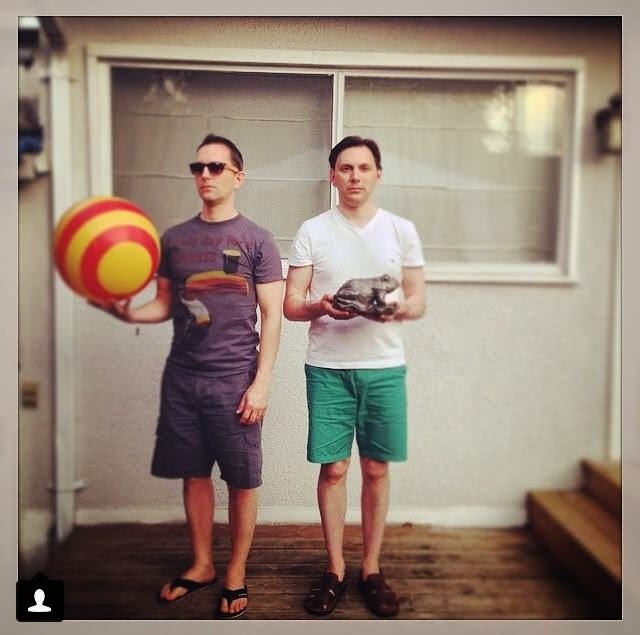 Beach Ball And The Silver Frog is a 4-track burst of lovely harmonic pop. "Jackie O" kicks things off in a spritely fashion. The Gram Parsons-inflected "Red Wine Black Coffee" takes things in a more somber direction briefly. The thoroughly delightful "The Summer Never Ends" is an instantly catchy gem. It's like late period Teenage Fanclub mixed with a bit of The Proclaimers. The title cut of the EP is a wisp of an acoustic guitar-based tune that uses the real sounds of a summer morning to great effect. Check out the Skytone website at TheBeautifulMusic.com for more details on the band.